Newcastle-upon-Tyne. 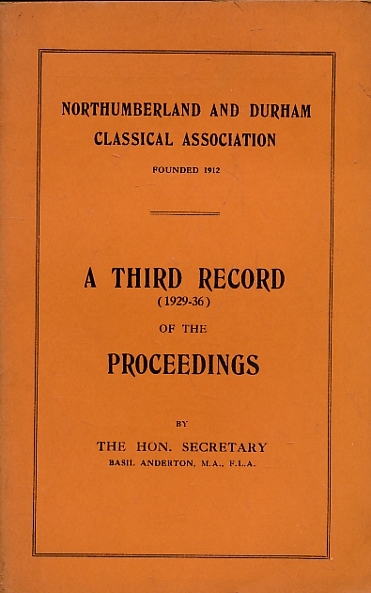 : Northumberland & Durham Classical Association. 210 x 140 mm (8 x 6 inches) - 43pp. G: in good condition without dust jacket as issued. Cover rubbed and soiled.